The law firm of Steven Harrell, Attorney at Law, in Perry, Georgia, provides capable, affordable legal counsel to clients in Middle Georgia seeking financial relief through bankruptcy. I have filed hundreds of Chapter 7 and Chapter 13 bankruptcy petitions on behalf of my clients, many of whom have been able to reestablish credit and restore financial security when out from under the burden of crushing debt. I help clients avoid serious mistakes, like tapping a 401(k) account or home equity line of credit in a vain attempt to pay down hospital bills or credit card debt. When you are struggling to make minimum payments, facing foreclosure, repossessions, wage garnishments and lawsuits, bankruptcy is an honest solution. I can help you make a fresh start. I have represented thousands of clients in courts, administrative agencies and tribunals in this state. I have devoted my practice to providing excellent legal services at affordable prices. I am the people's lawyer. On injury cases, I charge a contingency fee, and on litigation cases, I charge a retainer that is billed against an hourly rate. On document drafting, I charge a flat fee for services. A 30-minute consultation in my office is free. 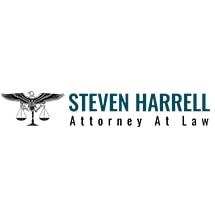 Call Steven Harrell, Attorney at Law, when you have a personal injury or any other legal matter to address. My number is 478-287-1941. When you or a loved one has been injured at the hands of another, I can help you get restitution. I meet personally with each client and prepare the petitions myself. I have filed hundreds of Chapter 7 and Chapter 13 petitions on behalf of my clients. Divorce is difficult, but a good attorney can make a difference. I routinely handle contested and uncontested divorces. Contact my office to schedule an initial consultation.